Taking days off also highlights the underlying void I've felt by not keeping an actual paper running journal. I have one that I'm waiting to use once I start my full marathon training plan in May. But until then I've just been tracking mileage on my Garmin and keeping an account of my cross training (or lack thereof) in my blog posts. It's not the same as having an actual journal that you can look at to compare weeks of training etc. Especially when you want to compare your cross training. Fortunately (or unfortunately, depending on how empty or full you perceive the glass to be) I haven't done a lot of cross training since the beginning of the year so I don't have a whole bunch of stuff to compare. Since I didn't have a journal to look at today, I kept myself busy on the Garmin website where I can see my routes and mileage accumulation summaries for various timeframes. 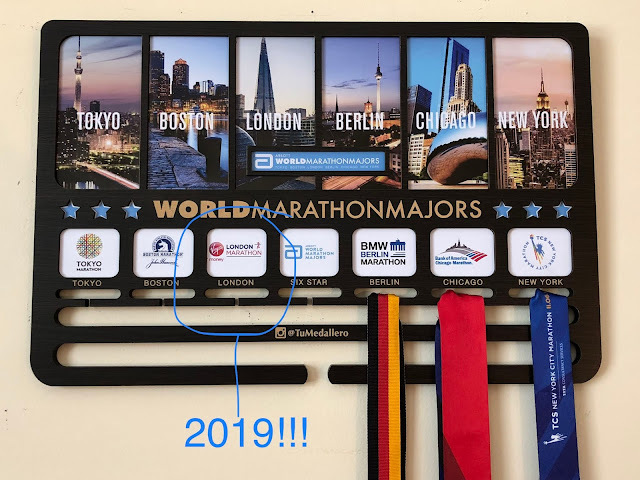 It's because of this awesome feature that I had to face the realization that I was not going to achieve the goal I set to run #100miles in March. I've known for a while actually but the delusional OCD aspect of my personality wouldn't allow me to post that revelation until the LAST DAY of March (you know, just in case I was suddenly capable of running approximately 10+ miles a day for 4 days straight). #2 I had an amazing lunch at work! I ate steak and rice and fried plantains :) I would love to share a picture of my lunch with you but I ate it so fast there was no time to snap a photo (sorry). You just have to trust me when I say it was really really good! 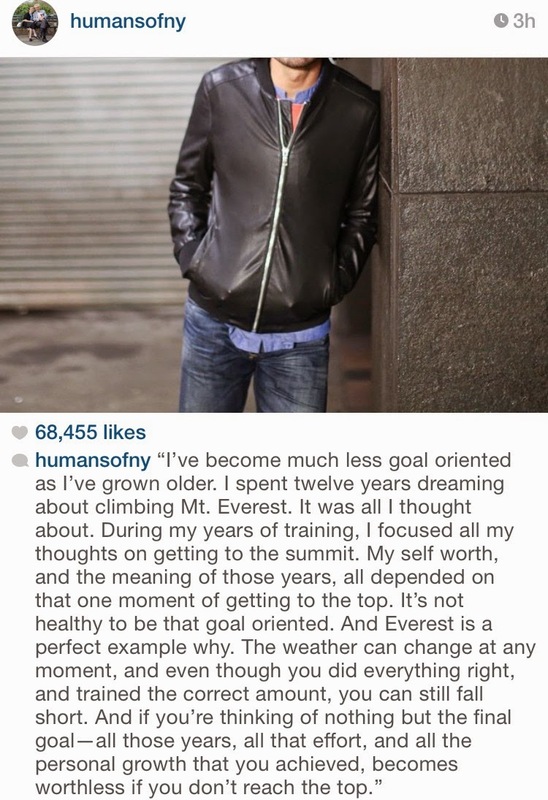 If you don't follow @humansofny on IG you probably should. I got introduced to this page by a friend of mine a few months ago and I absolutely love their posts! Not all of them are relevant to me...some of the stories they share are sad, some are funny, some (like the one in this picture) are truly inspirational. 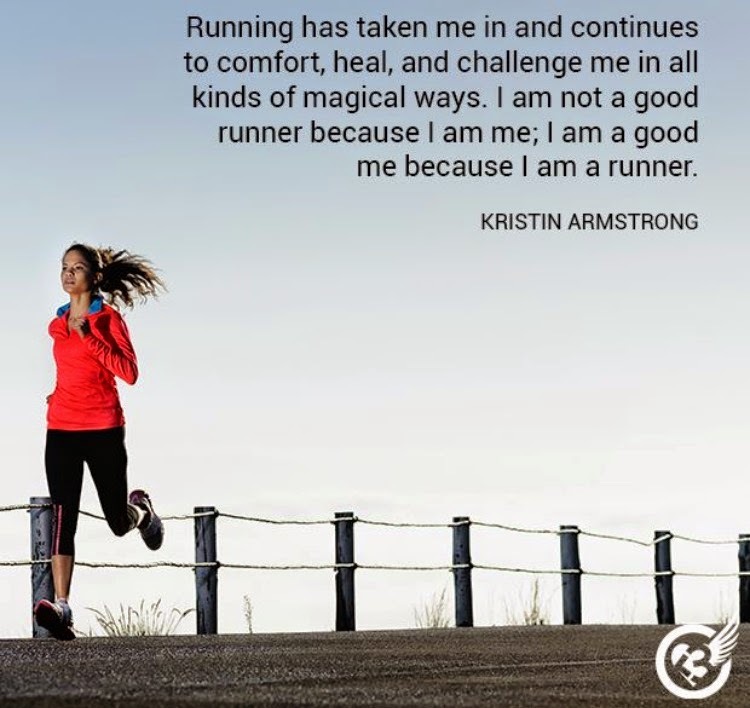 This post was perfect for me today because I needed to be reminded to appreciate the journey and all the processes that are going to take me across the finish line of the Chicago Marathon (and all others I plan to run). Although I will be happy when I cross each and every one of them, I don't want to miss the epic nature of the journey by solely focusing on the finish. What's your favorite "running" and "non-running" IG page to follow? How often do you change your running journal? Each year? Each training cycle?